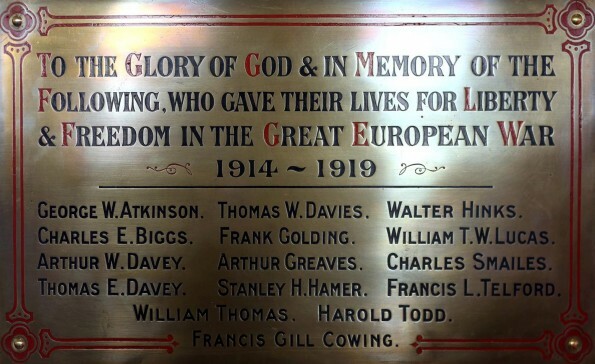 A Darlington historian has found the stories behind the names on a plaque to fallen First World War soldiers in one of the town’s churches. Chris Webber talked to him. FRANCIS LOVE TELFORD: just one more name on a plaque to the war dead in just another ordinary small town church. 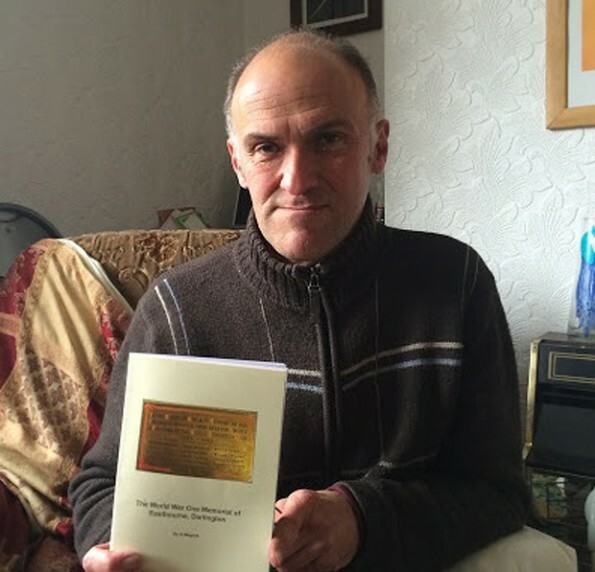 Just another working labourer turned private solider in the 15th Battalion of the DLI. And just another casualty on the first, bloody day of the Battle of the Somme: July 1, 1916. But to Elizabeth Jane Telford, he was more, much more than a name, a statistic. He was a husband. It’s not clear if he had children, but he had three brothers, a sister, a mother and father. A century on, his name means something to someone else, too. Someone who has made it his business to care. Darlington amateur historian Anthony Magrys took that name, along with 14 others recorded on the plaque – once screwed onto a wall at Eastbourne Methodist Church and now rededicated at St Herbert’s Anglican Church, in the town – and took the trouble to find out who they were, record what he could find, and pass it on to us. The anonymous names made flesh and blood, made real. Two of those 15 men died at the Somme, the bloodiest single battle in the history of the British Army. Telford was one of them. Aged 33, he doesn’t quite fit with our image of impossibly young boy soldiers sent to slaughter. He recorded his own occupation as labourer, Mr Magrys discovered from Telford’s Army recruitment form, but in fact he had been an iron moulder in his home community of Leadgate, near Consett, and was living at 24 West Street, in Leadgate, as late as the 1911. But when war broke out in 1914 he was living with his wife, Elizabeth (nee Coulson), whom he had married on Boxing Day, 1909, at 3 Eastbourne Road, in Darlington. We know little else. He had conjunctivitis in February 1916. Maybe he got a few days’ respite. Elizabeth got a pension in April 1917, ten months after his death. She got 13s 9d a week, worth 69p today. She also got his identification disc, but his body appears not to have been recovered as his name is on the Thiepval memorial, dedicated to the missing of the Somme. He is, of course, remembered on the plaque back in Darlington, even though his Methodist church no longer exists. The other name on that small plaque who, thanks to Mr Magrys, we now know died at the Somme was William Thomas Warriner Lucas, of 107 Cobden Street. A soldier in the Northumberland Fusiliers, he was just 18 when he fell. Mr Magrys has managed to find his photograph because he had worked, for just four months, as an engine cleaner for the North Eastern Railway which printed photographs of its fallen in its staff magazine. Lucas had no wife but he was the only son of “road mender and corporation labourer” William and his wife, Julia, and was still living with them when he joined up. As with Telford, the exact details of the teenager’s death are not known. 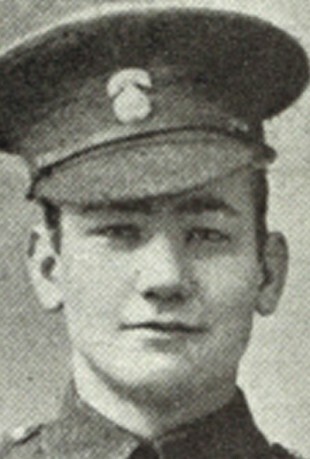 But we do know that the Fusiliers relieved the decimated 18 DLI on July 8, 1916 – the day he died. There are more stories from the no-longer anonymous names on the plaque. Soldiers buried at the Mount of Olives in Jerusalem, in Tehran and Gallipoli, and in one case in Germany just a couple of weeks before the war ended. For another of the fallen, it’s not even clear where he died at all. A total of six died at Ypres and two at Arras. But all must, somehow, have been connected to a small church in the working town of Darlington. Some must have known each other. And, thanks to Anthony Magrys, they will always be remembered.